Is it possible to download the mantra of mandarava? Thank you for your sweet devotion of the Great Mother. What a gift to wake to. Beautiful. Thank you. I rejoice in your excellent activity. May Both the Living and Dead Benefit from this Mantra. May Kindness, Love, Peace and Compassion Flourish throughout Space. May the Co-emergent Deities and Demons of all Beings be Liberated from Samsara and be realized as Perfect Visions and Pure Wisdom in the Dharmakaya of our Beings. 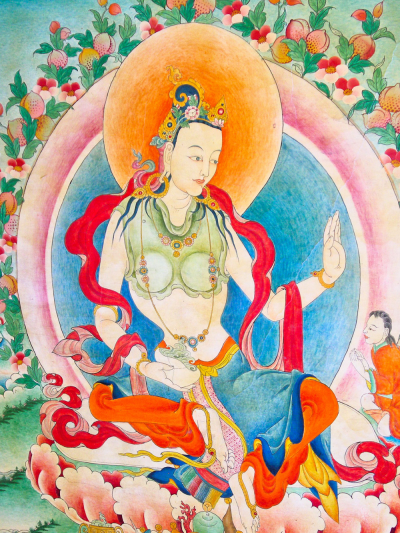 And May all Beings realize Samantabhadra’s Kingdom in this very life. Can I found this mantra and the name of Dakini Mandarava in Sanskrit ? Please help !